BBQ Grill Mat – Great Flavor Without The Mess! The 4th of July is almost here! One of America’s top grilling holidays- do you have your Grill Mat?? The BBQ Grill Mat makes grilling super easy and with less mess. Simply grill your food right on the non-stick Grill Mat, right on the grill. You keep all those great juices and marinades in your food instead of dripping into your grill. The Grill Mat is thin enough that you still get those beautiful grill marks. We here at As Seen on TV Web Store love the flavor we get using the Grill Mats and we really love the easy clean up- just wipe with soapy water or put the Grill Mats in the dishwasher! Roll up or lay flat for easy storage. GET THE BEST DEALS ON BBQ GRILL MATS HERE! From the makers of StufZ Stuffed Burger Maker comes StufZ Sliders! Now you can make mini stuffed slider burgers. What about for the home chef who wants to enjoy stuffed sliders anytime? How to wow your guests at your next backyard BBQ? That’s why we here at As Seen on TV Web Store love the all new Stufz Sliders! Stufz Sliders allows you to make professional style stuffed sliders, right at home. They are delicious and are sure to impress. We first fell in love with Stufz, the original stuffed burger maker, earlier this year. It has a deep cup so the fillings stay inside the burger for perfectly stuffed hamburgers. Stufz Sliders is the same way except for little mini burgers. So now you have a choice between regular sized burgers and sliders- all that can be stuffed! This past Saturday, my wife awakens me at 8am, demanding that I get outside to clean up the yard, and wash the cars. The lawn isn’t really a mess, except for some downed branches, and the garden hose, which never gets put away. It’s just that whenever I go to wash the cars or water my lawn, I have to drag out a bulky garden hose, and then drag it back to our storage shed. So, I just leave the garden hose where it lay. It’s just too much of a pain to put away. 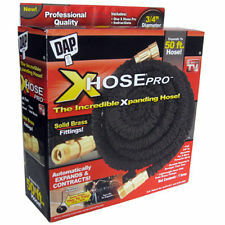 Lucky for me, my wife discovered that the XHose Pro, as seen on TV, has been released. With this hose, cleaning up the yard, and using a bulky garden hose is a thing of the past. It’s a high quality hose that comes in various sizes, weighs just over a pound, and is built to last. Its solid brass fittings certainly outdo the plastic ones that, from what I’ve heard, break and burst. Solid brass instead of plastic fittings? That’s a no-brainer. Obviously this is the better hose. The size of this expandable hose makes it so simple to get out from storage that I can no longer argue with my wife. I have no excuse but to put this hose away. In fact, when I turn off the water, the XHose Pro coils up on its own! It’s eliminated the clutter in my yard, and makes washing my car and watering plants simpler, which is a good thing. 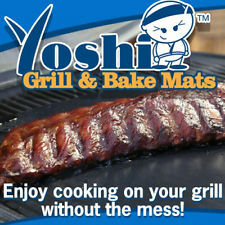 Yoshi Grill & Bake Mats – Makes Grillin’ Super Easy with No Mess! Summer weather means grilling and fun with friends and family. But, every summer I have to clean out my grill before using it because of all the fat and juices that drip down into the grill, not to mention the insects that dine on them. Lucky enough, I came across the Yoshi Grill & Bake Mats, as seen on TV, which have changed grilling forever. This Mat goes right on the grill, and allows the heat to pass through so that the food cooks normally, but the mess doesn’t drip through the grates and into the grill! Rather than the sauces and juices dripping through the grate, the food cooks in its sauce and juice, which makes for better eating. The Yoshi Grill & Bake Mat also protects the food from flare ups, and the food doesn’t stick to it. Furthermore, when we go camping or grill at a park, we can take our light-weight Yoshi Grill & Bake Mat with us so that we don’t have to worry about what has been on the grill we use. You can even cook a pizza, bake bread and pastries, and get the grill marks you want. When finished cooking, the Grill Mat is dishwasher safe, too. Now that I have my Yoshi Grill & Bake Mat, grilling and clean up is a breeze! Want to watch HD TV channels but don’t want to pay the high costs of cable? Today is your lucky day…HD Clear Vision is a TV antenna that picks up HD signals from just about anywhere so you can watch HD TV for FREE! Sound too good to be true? That’s what we thought, too. But thanks to a federal law that states all broadcasters are required to transmit digital signals through airways, HD Clear Vision allows you to bypass cable and internet and pick up a clear HD signal from just about anywhere…your house, boat, at a game, airport, anywhere! Remember the old rabbit ears antenna to get a signal on your TV? HD Clear Vision TV Antenna, as seen on TV, is that same idea only for a new generation of television viewers. Now you can get HD signals and watch all the channels your favorite HD broadcasted channels, without the monthly cost of cable. 1. Micro Touch Switchblade- the all in one groomer for your guy! With a built in light for those hard to see places. 2. Finishing Touch Lumina Diamond- hair trimmer for women also includes a light. Great for bikini areas, eyebrows and more. 3.Perfecter Fusion Styler- Replaces hairbrush, curling iron, flat iron, and hot rollers. Get bouncy curls or smooth silky hair. For all hair types! 4. Stufz The Stuffed Burger Maker. Make stuffed burgers like a professional chef! 5. 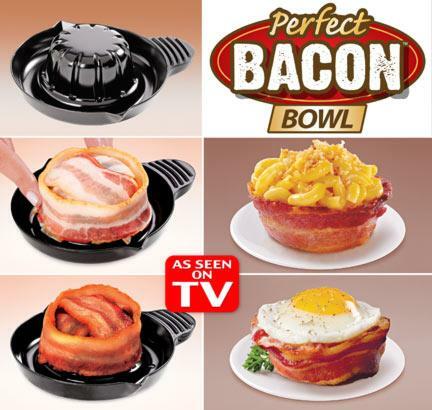 Perfect Bacon Bowl- make edible bowls out of bacon! 6. Cafe Cup- use any kind of coffee in your Keurig Coffee Machine! 7. Stretchkins- gets your kids up and moving! 8. Seat Pets- the plush friend that attaches to your child’s seat belt so they can use the oversized head as a pillow…no more dangling heads! 9. 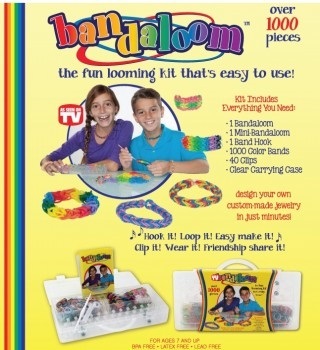 Band a Loom- are your kids into making loom bracelets? This is the best kit around- comes with it’s own carrying case! 10. Dean Martin Celebrity Roasts- watch as celebrity guests get ridiculed and embarrassed as they are “roasted” by Dean’s panel…hilarious! 11. Carol Burnett 6 DVD Set- this set includes Carol’s favorite episodes from the 25 Emmy Award Winning show plus bonus material! 12. 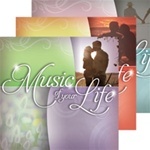 Music of Your Life- timeless love songs from the 50s, 60s, and 70s. 13. 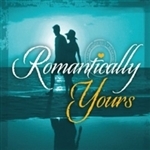 Romantically Yours- classic love songs from the 70s and 80s. 14. 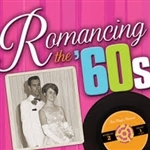 Romancing the ’60s- loves songs from the 60s. Please leave a post and let us know what you think of our list, did your favorite As Seen on TV product make it? What is your favorite As Seen on TV product? Remember to follow our blog to find out about the latest releases and information on everything As Seen on TV! MicroTouch Men’s Hair Trimmer has been around for a few years. It has been one of the top selling men’s hair trimmers, ever. The SwitchBlade is the new and improved MicroTouch Men’s Personal Groomer, as seen on TV. This little trimmer is all you need, or your guy needs, to trim and groom eyebrows, beards, mustache, sideburns, and those unsightly nose and ear hairs! The upgrade…simply slide to switch and you have a full size trimmer- perfect for larger areas like the hair on your head (great for in between hair cuts! ), and your back (eek!). The MicroTouch Switchblade won’t nick or cut your skin, no razor burn either. GET THE BEST DEALS ON MICROTOUCH SWITCHBLADE MEN’S HAIR TRIMMER AND GROOMER HERE! Ladies love a groomed man, I know I do ;). My husband will definitely have a MicroTouch Switchblade in his stocking this Christmas!